One of the ways to help Malagasy children through our Foundation is to join a sponsorship program called ‘virtual adoption’. 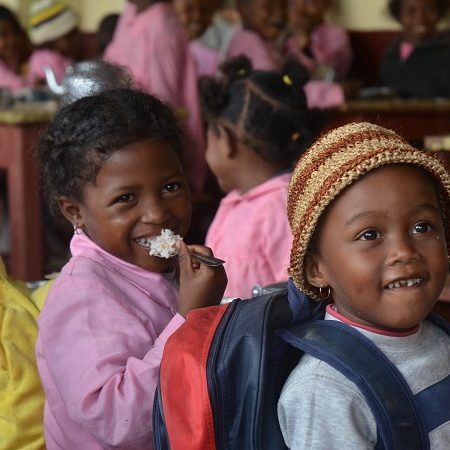 This program enables children from the poorest families to benefit from education which is not provided for free from the state in Madagascar. Public and private school fees are almost equally expensive here. Thanks to our virtual adoption a sponsored child can attend school and eat lunch every day in the school’s canteen. 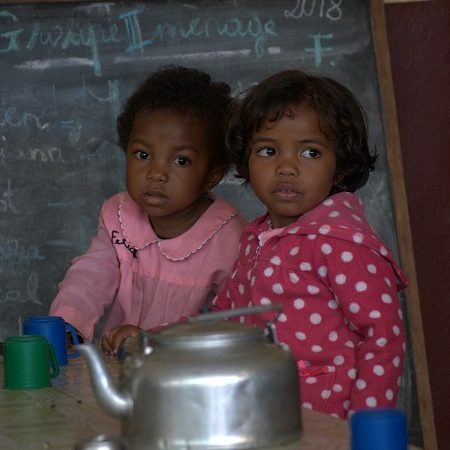 60% of the population in Madagascar is illiterate. Although school is obligatory here, it is not for free. A lot of children especially from remote areas do not go to school. Their parents can not afford to pay school fees and to buy basic materials and accessories. 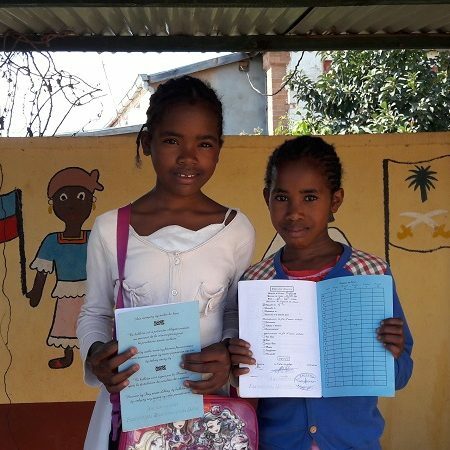 The biggest dream of every Malagasy child is to be able to go to school, to wear a school uniform and to have their own school bag with exercise books, pens and pencils. For many of them going to school also means getting a plate of rice, which often is the only meal they have throughout the entire day. Thanks to the virtual adoption program children have the opportunity to go to school and receive the education they need and deserve like all children in the world. Due to the current economic situation of the country more and more parents are not able to send their children to school. Even the youngest child in the family may have to work together with the parents in order to provide for their most urgent need – food. The need of education is pushed into the background. 3 years senior secondary school. Thanks to our sponsorship program children attend school, receive school supplies and what is also very important they eat lunch in the school canteen. Since 2011 we have been cooperating on a permanent basis with Saint Joseph College in Ambohidratrimo. The school consists of a nursery, a primary school and a junior secondary school. There are more than 1000 pupils, some of which come from very poor families and they are in great need of aid and support. So far we have managed to find sponsors for over 250 kids! Furthermore, the Foundation cooperates with Manjaka and Lauriers Schools in the villages of the Ambohidratrimo district. We also support pupils in Ambohidratrimo Public Senior Secondary School and in private school Lycee Saint Paul which we built as a Foundation in 2017. If you decide to support a particular child through a virtual adoption, we will keep you informed about the child’s progress at school and through us you will have the opportunity to get to know the situation of the adopted child better. The duration of the adoption is not strictly determined. However if you decide to sponsor a child you have to take into consideration that ‘your’ child should be enabled to complete certain stages of the education. The amount of 170 Euro annually covers all school fees, necessary school supplies and daily meals at the school canteen. The money should be paid into Foundation’s bank account with the name of the particular child as payment reference. We would prefer to receive the total 170 Euro as a one payment as this guarantees to cover school fees for one child for the entire school year and it ensures the continuation of the education for that child. Our Foundation is a non-profit organization. All funds transferred for the cause of the virtual adoption program are used directly to support a particular child at school and to cover extra needs such as health care or clothes and shoes. If you wish to join this program and become a sponsor of one of our children please contact us by email at foundation@childrenofmadagascar.com . We will be happy to send you information about a child who currently needs your help. Thank you!